The Lonergan family has been farming the land around Ballyneety in Knockanore for over 60 years. Eamonn’s father Ned settled in the area after meeting local girl Mai back when he was managing the cattle herd for the now diminished local grand estate. The Headborough Estate, then owned by the Maxwell family stretched for many miles around the parish of Knockanore. Ned and Mai ended up buying a portion of the land from the estate on which to live and work and began their own farming venture. 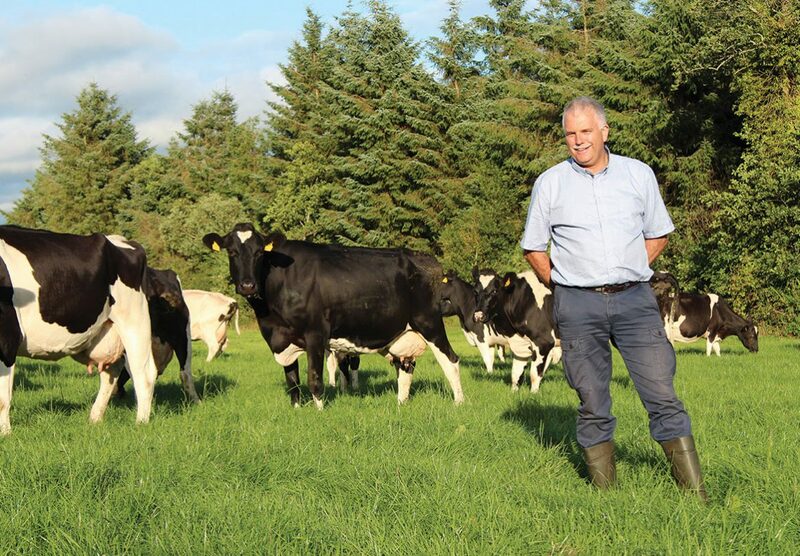 They started with just four Kerry cows and went on to build a traditional mixed farm comprising of dairy and beef cattle as well as sheep and pigs. As the farm became established they leaned more towards the dairying side of the farm and began to establish a top quality milking herd. Growing up working on the farm, Eamonn recognised that they had a uniquely high quality product in their luscious milk and dreamt of being able to leverage its attributes, rather than simply sending it off to the local co-op, so he hatched a plan to make cheese. With the support of his parents Ned & Mai, Sister Beatrice and her Husband David, he began to research the farmhouse cheese industry. After many years of research & trials (not to mention the odd tribulation!) the dream became a reality. Now more than three decades later with the help of his wife Patricia and their children Aisling, Orla, Lisa, Edward & Joanne, Knockanore cheese is sold all over the world.